NEW YORK – STRATA DATA CONFERENCE – Sept. 26, 2017 — Trifacta, the global leader in data wrangling, today announced that its Trifacta Wrangler Enterprise and Wrangler Pro (formerly Wrangler Edge) products now integrate with DataRobot’s automated machine learning platform. This technology integration enables customers in financial services, life sciences and insurance to streamline the execution of machine learning at scale in order to become AI-driven. 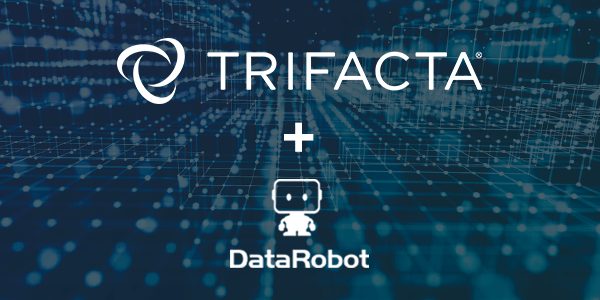 The integration between Trifacta and DataRobot supports a variety of deployment options across on-premise and cloud data platforms. Data wrangling processes have traditionally been carried out with hand coding techniques. Manual data preparation requires expertise in a coding language, like Python or Java, and is time-consuming, cumbersome and error-prone. As organizations scale their machine learning efforts and adopt modern solutions such as DataRobot, hand coding becomes an increasing bottleneck, which can stall and jeopardize machine learning initiatives. The integrated Trifacta and DataRobot solution enables organizations to accelerate data wrangling and empower analysts of any skill level to quickly build and deploy accurate predictive models.